I used a dollar store Barbie doll knock off and paper mache (which was completely new for me) to sculpt the wings and the dress. 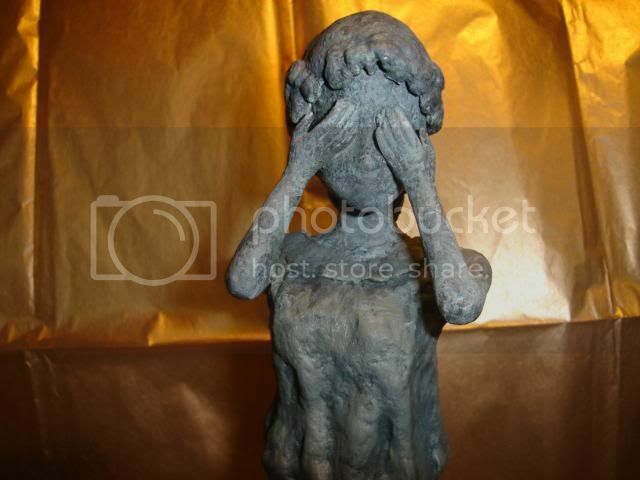 The first thing I learned was that paper mache takes FOREVER to dry I made the wings separately and dried them in the oven in a few hours but couldn't put the doll in the oven so the dress took over a week to dry before I could even start painting. I am pretty proud of how she turned out though! I'm from Texas but currently live in Germany. I had originally planned to make one for the swap and then one for me- but now that I know how much work it was I decided that I didn't need one after all! This one was trial and error so even though I figured out the most efficient way to make the next one because I know what NOT to do, it is still a big project ( at least for me). Wow this is awesome! 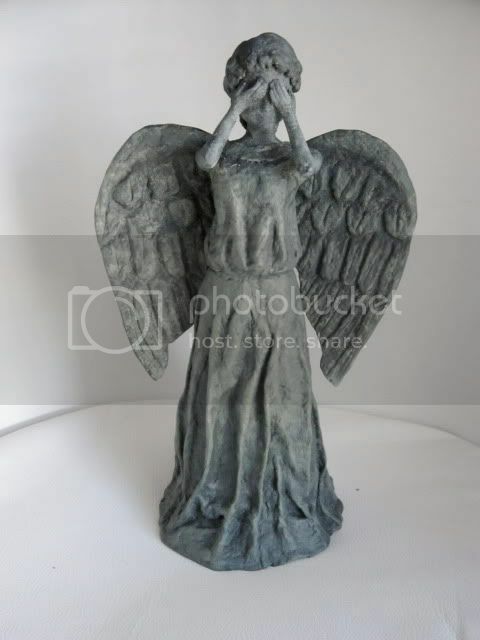 The Weeping Angels are the scariest (but also my favorite) foes in the Doctor Who series! This is great work! I saw this in the swap, really stuck out to me! !